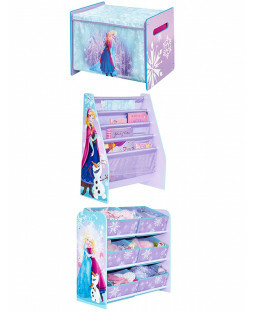 Transform your child’s room into a Frozen kingdom with our wide range of official merchandise and accessories. We have everything you need to put your little one’s room into an eternal winter, from single and double duvet sets, to curtains and wallpaper. 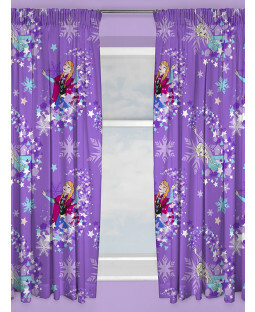 Treat your Disney Princess to a room they’ll love, and with our 110% price beat promise you’ll love us too! 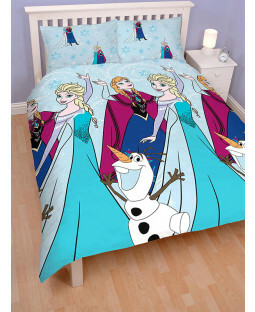 Give these Frozen characters a warm home! Find everybody’s favourite feel-good film in a range of bedroom décor and accessories here at PriceRightHome. Give your child something to sing and dance about with our variety of toys and decorations, all covered with Anna, Elsa and all their favourite characters. 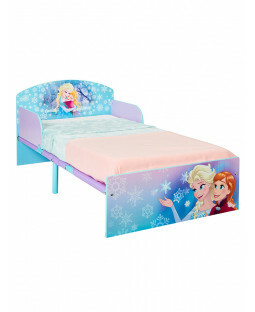 And with free UK delivery on all orders, we can bring our products to your rooms faster than Elsa brings winter to Arendelle. Design a truly cool room! 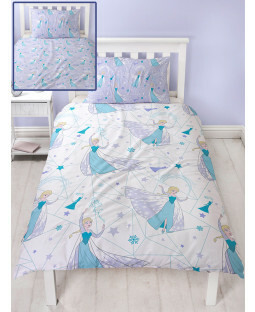 Explore our exciting Frozen goodies and find everything you could possibly want for the perfect Disney inspired room. 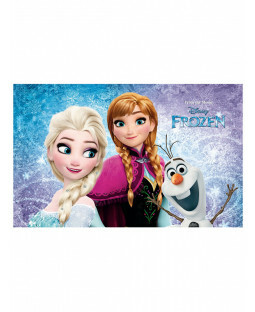 Get Olaf’s cheeky face on cushions and LED lights and find sisters Anna and Elsa on duvet sets. 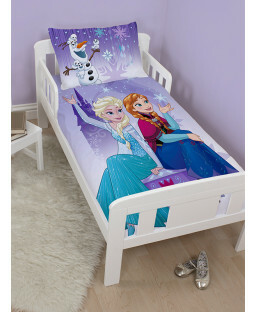 We even have bed’s in the shape of Kristoff’s sleigh! As well as bedroom features, we also offer toys and games, such as cameras and DVD players for tech lovers, or scooters and space hoppers for thrill-seeking Frozen fans.